I didn’t know what to expect from this movie, that’s actually why I went to watch it. The trailer really interested me, how can you watch a trailer about a guy being accused of killing his girlfriend and growing horns and not run to the cinema? Okay, basic plot: Daniel Radcliffe is Ig, a guy who’s spiralled into a self-destructive lifestyle of alcoholism after hia girlfriend is raped and killed. Ig is the prime suspect and the entire town thinks he’s a devil. His image isn’t improved when a set of horns sprout out of his forehead. It’s kinda like Gone Girl meets Dogma meets Freddie Got Fingered. The best thing about this movie is Daniel Radcliffe. He’s absolutely captivating. Whether he’s playing the disheveled, depressed widower or embracing the demonic powers and badass attitude that come with his horns, you won’t be able to take your eyes off him. This is definitely a great way for him to break away from the restraints of his childhood fame. The rest of the acting is pretty average. Max Minghella’s performance is probably the only other showing that deserves mention. He plays Ig’s best friend – Lee, I prefer Minghella being villainous and douchey like he was in The Internship but he does an okay job in this and is quite a badass in some scenes. Watching the plot of this movie unfurl is like riding a roller coaster, while blindfolded and on acid – you never know what’s gonna happen next or where the movie’s gonna end up. The reason I said this movie was like Freddie Got Fingered is because it’s so random. The gags came out of left field and you never know where the next laugh is gonna come from. The movie does feel a bit long though. It spends too long on the final part and it could have (and should have) been fifteen minutes shorter. 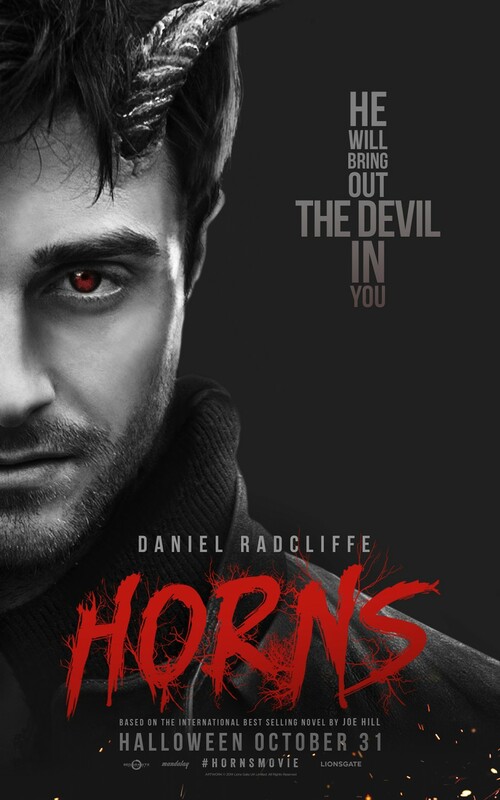 The overall premise doesn’t make sense but that isn’t surprising – it’s a movie about a guy growing horns, come on. You’re never really troubled by how illogical the movie is because it’s not the focus of the movie. Thanks to Daniel Radcliffe you really connect with the character and his story.